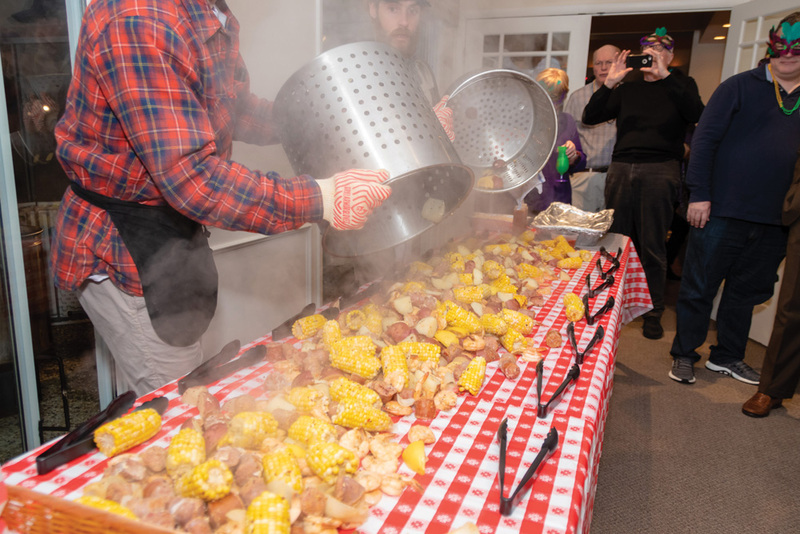 Delmarva Boil Company prepared shrimp, sausage, potatoes, corn-on-the-cob and pulled pork for a Mardi Gras party at The Salt Pond back in March. Those looking to have a seafood dinner in the comfort of their own home need look no further, as the Delmarva Boil Company is ready to help. “We’re trying to flip the restaurant experience on its head. It is catering, but we don’t like to consider it a grand production. It’s more ‘beach catering’ or ‘flip-flop catering.’ We bring the restaurant to you,” said co-owner Will Jenkins. Delmarva Boil Company is an offshoot of the Outer Banks Boil Company, which was founded in 2012 by Matt Khouri as part of a college project. “I went to college at UNC–Wilmington, and that’s where I met the owner, Matt, who also happened to be from Maryland,” said Jenkins. “He started doing it just for friends and family as a side hustle. All their friends and family said, ‘Hey, can we do one, too?’ And it just grew exponentially from there. Jenkins said he reached out to Khouri and his business partner, Ryan Miller, last winter about opening a store on Delmarva. 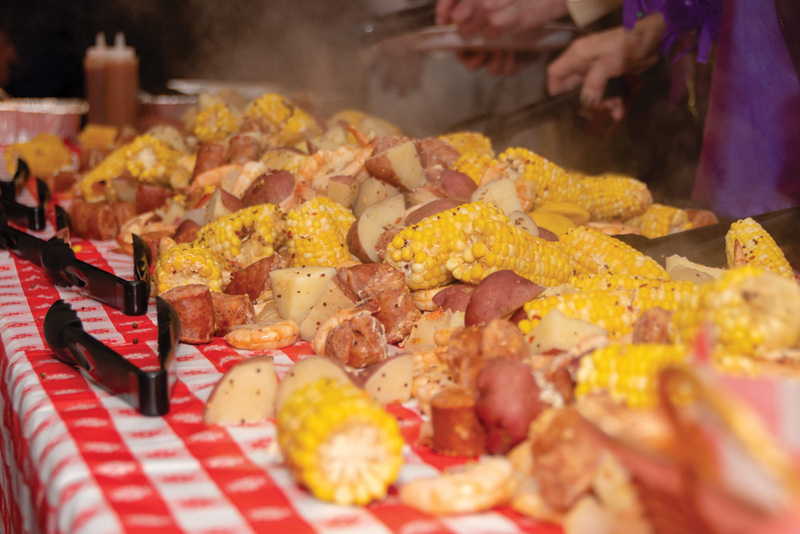 So, what exactly is a low-country boil? 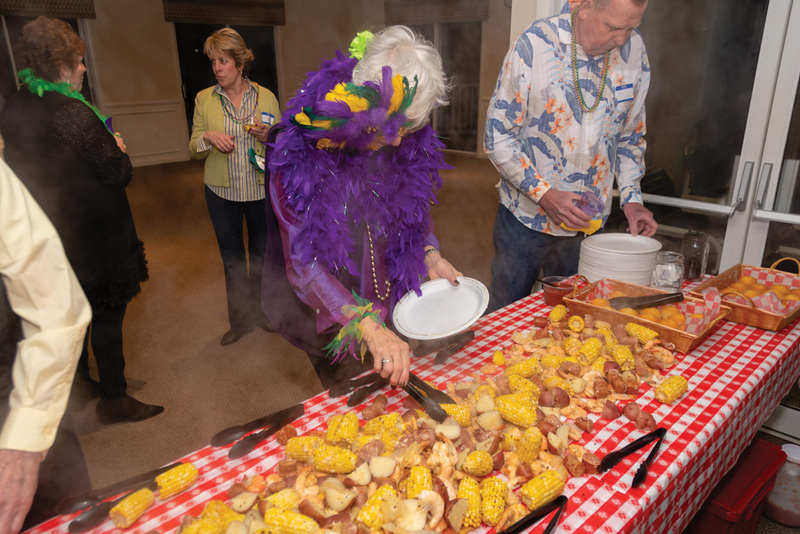 “It’s like a crab feast… It’s a communal sharing of food. Everyone is gathered around a table, interacting with each other. You’ve got your potatoes, your corn, onions, shrimp, mussels, sausage, clams, snow crabs… such a variety. It’s great in a family setting. Jenkins said high-quality food is important to Delmarva Boil Company, which he said buys only the best ingredients. The clams are local, the mussels are from Prince Edward Island, the shrimp is from the Gulf, and the lobster is straight from Maine. “Consistency in the product is important,” said Jenkins, noting that the sausage is from Metairie, La. Jenkins and his team will cater anything from a family dinner for 10 to events and wedding receptions for more than 200 people. For those who are looking to do a smaller get-together, Jenkins recommended their to-go pots, which can serve two to eight people. 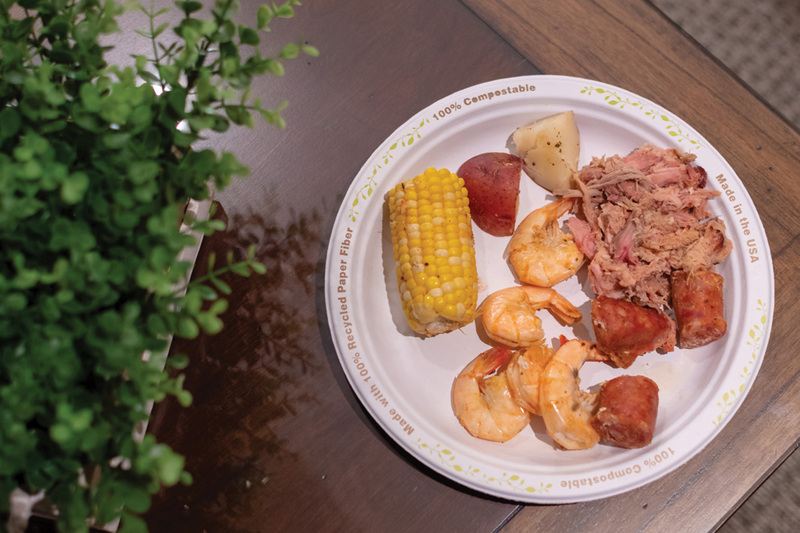 As the low-country boil is a somewhat of new concept to many locals, Jenkins said their online “Book-a-Boil” form aims to make the process really easy. “People have a lot of questions, usually,” he said. “It takes you through a step-by-step questionnaire — how many people do you have, how many pounds of crab, and so on. That gets sent back to us. When we get that, I’ll call them and we’ll dial in all the food they want. The boils can be perfect for a night in for those on a family vacation or for a rehearsal dinner. Whatever the event may be, Jenkins said he will work to create the perfect dining experience. “When we do a dinner for a family on vacation — they’re not going to the restaurant one night, and just staying home, not racking up a huge bar tab; the kids can run around. They can just relax and not worry about anything. We’ll do all the work for you. Jenkins said he’s happy to be able to offer this unique dining experience to locals and visitors to the Delmarva shore, and is excited to watch the business grow. “People love it. 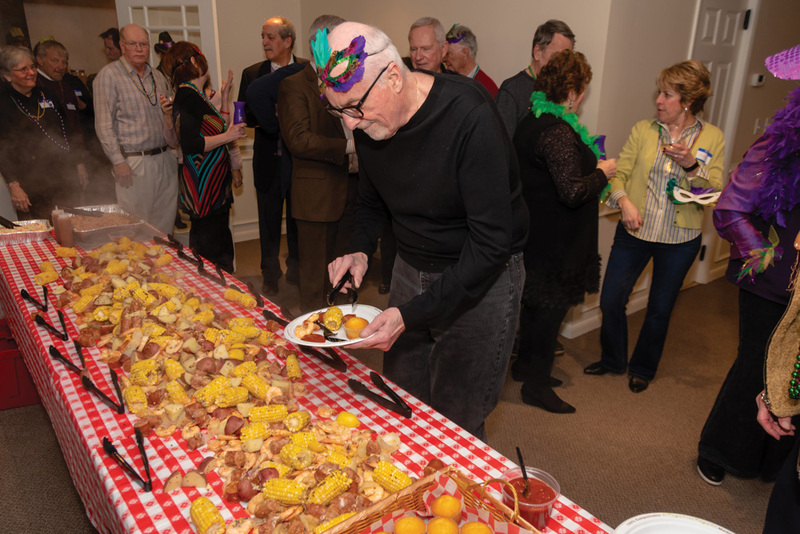 Whether it’s the community sharing of having the food dumped out on the table, it makes for a fun social event and meal, where everyone can sit around the table, joke, have fun, and enjoy really good food,” said Jenkins. Delmarva Boil Company is located at 14308 Coastal Highway Unit 5, Ocean City, Md. For more information, call (443) 664-8356, email delmarvaboilco@gmail.com or visit www.delmarvaboilcompany.com.